Skateboarding is edging closer to the mainstream attention that is inevitable with the upcoming 2020 Olympics. 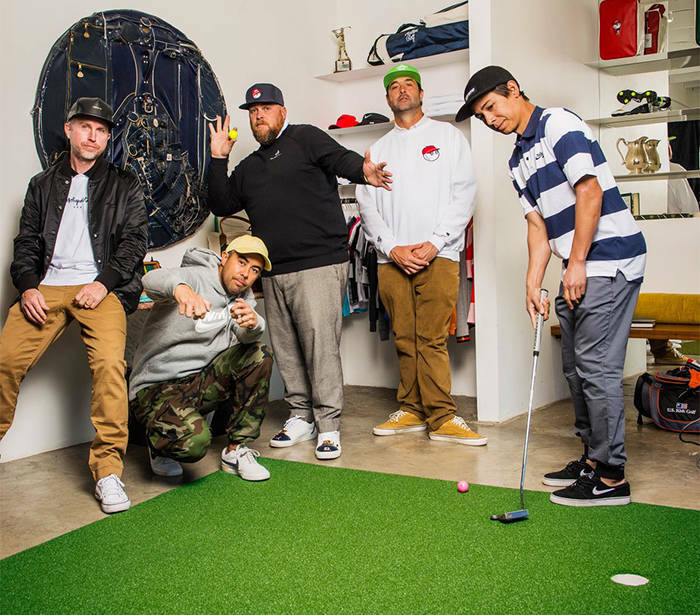 The latest external spotlight on our corner of the universe comes from Golf Digest’s new article on the intersection between skate culture and golf. The observation is valid. Many skaters both professional and casual enjoy a round of golf. It’s cool that a major golf publication recognizes this, and is validating the connection. And it’s even cooler that it’s aware enough to highlight Koston, Malto, and Huf—who are all great ambassadors for skateboarding. Read the entire article on the Golf Digest site for more on the collision of these two worlds. Our favorite quote is Eric’s bit about Tiger Woods that we’ve pulled below—which is definitely pretty insane to think about. Watch Girl and Chocolate’s first videos online. Meet the UK artist that’s creating amazing vector portraits of pros specifically for social media. Quasi digs in the crates to reintroduce a forgotten Vans shoe.